You live in a world where you have to look over your shoulder each time you use, cite, quote, link out to another person’s work. It’s especially true when it comes down to finding great free images to add more visual appeal to your blog posts. Why bother adding images to blog posts? Blog post images help increase website traffic. Images make your blog posts more readable. Did you know that your readers don’t, in fact, READ your blog posts? They scan them. Adding visuals keeps them engaged with your content. Images make your blog posts more shareable. Images make your blog posts more linkable. Adding blog post images gives you a fighting chance to beat this sad stat: 50% of content gets 8 or fewer shares and 75% gets zero links. Here are a few more fun stats to show you why vision trumps other senses. You should definitely read this content repurposing post to learn how to REALLY use visuals to drive traffic and leads. What do you mean by ‘free’ blog post images? Most people, when searching for ‘free’ images for blog posts, are searching for images that won’t cost $$$. Money, however, should be the LEAST of your concerns. An ideal FREE image is free of copyrights, can be copied, modified, distributed, and used, even for commercial purposes, without asking for permission or giving credits to the artist. Simple. The last thing your business needs is to be sued for using an image you had no rights to use. And if you think you are too small of a fish for anyone to care… think again. A few months ago, I created a Slideshare presentation on how to get more Facebook fans based on James Bond movies. It was awesome, edgy, and landed over 100,000 views on Slideshare. We received a DMCA complaint from Metro-Goldwyn-Mayer Studios Inc. and Danjaq LLC regarding your file and the use of 007 property claiming that it infringed on their intellectual property and rights. Apparently, my insignificant Slideshare presentation had upset some people at MGM! Now that I know better, I get it. On top of that, I thought I was using images licensed under Creative Commons! So you think you can use an image as long as . . .
Let’s take a look at some of the ill-conceived, yet very common ways folks justify using other people’s images. That’s right: giving attribution to the image creator doesn’t give you the right to use their work. “Taking another person’s image or graphic and giving them a “shout out,” linkback, or any other type of attribution does not negate copyright infringement. Common sense may say that an artist wants exposure for their work, but we’re talking about the law here and common sense doesn’t always parallel. I thought I did everything right when creating this presentation: found Creative Commons-licensed photos and gave appropriate attribution. Mind you, Creative Commons licensing doesn’t require me to include attribution ON the image itself, but in the end, it’s his photo, his rules. BOTTOM LINE: when using other people’s images in your blog posts, you’d better be aware of image licensing requirements, plus be ready to fix things if and when trouble comes – even if you think you’ve done everything right. If you don’t think it’s a big deal, here are just some examples of why you might want to reconsider. This agency got sued $8,000 for using an image on a blog post that got less than 100 visitors. They called it their “most costly mistake since starting the business”. Likewise, this agency got sued $4,000 for an image that would have originally cost $10. This company was republishing newspaper content under a CC licence for others to use. However they didn’t have a licence from the original creators of the content to do that, so they got sued. Persephone Magazine used an image with a Creative Commons licence and were later sued for $1,500 for using it. It turned out the photo did not belong to the person who uploaded it with a CC licence, which led to 73 companies being sued who used it. GoodReads faced one of the biggest copyright cases ever, when they were sued $150,000 for an image someone uploaded of a boy band member. Not sure whether the image in question is free of copyright shackles? Do a reverse image search to see if you can track down the original source. TinEye.com is the best free tool for the job – simply enter the image URL and TinEye search results will return all instances of this particular image found online. Let me start with a quick disclaimer: there used to be 10 royalty-free image aggregators listed below. I no longer trusted a few websites to do what they claimed to do – provide us, website owners looking to legally use images for the content we create, with exactly that – images we could, with all confidence, use in our content. Take, for instance, Compfight.com, a site that aggregates Creative Commons images from Flickr. Here’s what you might see when searching for an image at Compfight. A link to buy images from Shutterstock. I CRINGE when I think how many a content creator might’ve been mislead by this gross misrepresentation of Creative Commons licence… that could lead YOU, the content creator (NOT Compfight!) to a legal battle with an image creator. And, believe you me, Compfight is FAR not the only image site carelessly encouraging you to do something that’s a bit legal (and common sense!) no-no. This morning, I was working on a new Lesson for my Content Boomerang Students. Content Boomerang is a content repurposing training I offer to website owners who want to see greater returns from their content marketing efforts – more TRAFFIC and LEADS, to be more precise. After all, you work hard to create that content, to begin with… doesn’t it make sense to milk it for all it’s worth instead of letting it rot in your archives?…. Click here if you agree. I could easily named a few dozen websites you could get your images from. However, it would be completely counterproductive. The last thing you need is to go down the rabbit hole of looking for that one ‘perfect’ image. Here are the two websites you’ll EVER NEED to find the right image for any occasion. Why am I competing with when what you really need is to get out of the time-wasting rabbit hole and just GET IT DONE? Thus, gone is the list of one-too-many ‘free’ image aggregators. Here are the only two free image sites you need to get the job done. Pixabay.com is my favorite go-to site for free images – free to use, as well as free to acquire – meaning you don’t have to pay to download an image. I highly recommend to do so. Registering is free and, once a member, you’ll be able to follow photographers you like and favorite (i.e. ‘save it for later’) images. Pixabay offers a choice of photos, vectors, illustrations, and videos. You can also narrow down your search by a few other parameters; category and color might be the most helpful. If you are struggling with where to start your image search, check out the Editor’s Choice section. You’ll find it by scrolling down the home page or going to Editor’s Choice section. That’s the best place to start looking for that emotional connection that might be perfect to take a viewer through your presentation. DepositPhotos image collection is a LOT better than Pixabay, but you’ll have to pay for it. Good news is that these images are inexpensive to purchase. $1 per image is very reasonable. Shutterstock costs 3 times as much. DepositPhotos has a number of helpful ways to find what you want faster. I find these two features particularly helpful when I have an ‘image theme’ in mind. For instance, in this presentation, I wanted to find images with the same mime models. And here, I wanted to use images with the same model within retro genre. Since we are on the subject of adding images to blog posts, let’s talk about the way it should be done. Search engines don’t ‘see’ images the way humans do – they are but strings of code to a search engine. The more information you add to that code, the better a search engine is able to interpret and rank an image. Yes, you are reading it right: adding relevant information to every image you upload to your blog posts could help your posts rank better. BEFORE uploading an image to your site Media Library, give it a relevant, keyword-based file name. In other words, DON’T name your image based on what it’s about. Name it based on what your post it about.  This is the featured image to my Link Building: What’s Naughty, What’s Nice? post. I didn’t name it “half-dressed woman”, although that’s pretty much what the image is of. Rather, I named it “link building”, since that’s what my post is about. As you can see, my title is keyword-based (but NOT keyword-stuffed!). … or ALT tag (“alt” stands for alternative). It acts like a description of the image and is another great way to use your post keywords. Note I didn’t say “stuff with keywords”. Keyword stuffing hasn’t worked in ages and can, in fact, have a negative effect on your SEO. That one is strictly for your readers. That’s where it’s good to tie your image to your post if the relation is not too clear. You can also show off your wit here by adding a joke or sarcasm – both work equally well. I almost always leave this one blank. Since search engine spiders follow each link they find on a given page, what’s the point of sending them to the one that leads to a dead end with no content? There are 2 exceptions I make to the no-link rule: when I want my readers to be able to enlarge an image and when I want to link it to an external resource. There’s a LOT more to learn about images and SEO. Images are great to have, but they have one great flaw – they could significantly slow down your blog. If you are using software like Snagit, you can easily resize the image in the Edit panel. Alternatively, you can use free tools like Image Optimizer. WP Smush.it is a free WP plugin that will automatically reduce your image files, thus improving your blog performance. CAVEAT: this plugin is resource-intensive and could slow down your blog – the opposite of what you are trying to do. If you are just starting out online, chances are your site is hosted by HostGator or BlueHost – two most popular choices in web hosting. And that’s absolutely fine.  Traffic Generation Café has been hosted at Hostgator for the first two years of its life – up until I got fed up with constant outages, restrictions, and slow loading times. I am now with A2 Hosting and my uptime is 99.9%. Plus it really is lightning fast. Happy free blog post image hunting! Hi Ana, I like two things about your article: 1) how comprehensive it is, 2) you left just 2 sites in the end 🙂 True, it’s more than enough nowadays. I also like specialized resources, like Old New Stock or Startup Stock, or this app https://photos.icons8.com/creator for making your own photos out of stock ones. Thanks for suggesting a new resource, Jane – never heard of icons8; definitely looks like a great idea for simple personalization. Awesome post! Here was me just expecting 2 bullet points with the sites but I ended up getting a full in depth report on imaging and how to use them properly! Pixabay and my own 100% for me these days. I am so happy you didn’t mention Unsplash, which is in most cases illegal and might mean being sued. I am also glad you are not opposed to actually pay for images, however little. Though I don’t thin there is anything wrong with mentioning the image author, ever. Not exactly sure why you think using Unsplash leaves you more open to lawsuits, James. What do you know about them that I don’t?…. Ana, Pixabay user here, great to read to your story of how you have reached to these 2 sites that you have suggested in this article. Pixabay and Canva are two major tools for me for almost all my blogging needs. Although I do take photos myself for my reviews etc. I am now looking for a tool to compress the images but sits in WP plugins (without resource hog), still haven’t found one yet. Curious: why a plugin? Why not optimize the images before uploading them? Would love to hear your logic behind it. If you ever want to consider the 3 which is also free. Feel free to check rawpixel.com out. We’ve got a lot of exclusive content that may inspire the adventure our of the main two :). Looks like a fun site indeed, Tip! Thanks for sharing this valuable content. Any online marketer or blog owner needs beautiful eye catching images to make their content stand out. I used to buy my images through stock photo sites like fotolia or depositphotos.com because I wanted to make sure that my images were safe to use without violating any copyright infringement. But then I found pixabay and now that’s where I get most of my images from. The only problem with pixabay is that sometimes it can take ages to find the correct images. But it’s a free source so there’s nothing to complain about. I love Pixabay! Most of my images come from that site. Yes, it can take a bit more work to find the right images, but very worthwhile in my opinion. Thanks for coming by, Jose, and taking your time to let me know what you thought. Thanks for sharing such a wonderful list of image sources for blogs. Its a tough task for me to search for beautiful images for my blog posts. But after reading your post it seems easy. Glad you found it helpful, Akash. I really appreciate all the great intel you’ve given me – it is really helping me build my new blog! One question I’m still stumped on with images: what does “building on” an image really mean? I’d like to do some images with text overlays with quotes, information for slides, etc. and I’m confused on whether this is “altering” the image or not. Can you give me a specific guideline for the rules regarding adding text to images? Thanks so much! BTW – your blog has found a home in several of my bookmarks – great job here! Thanks for coming by, Carina, and I apologize for a late response. Yes, adding anything to an image – text, etc. – counts as altering it. You can alter images if the specific license allows you to do so. That applies to most Creative Commons images. I wish I could be more specific, but you have to look at it on a case by case basis. Most sites that allow you to reuse images (like the ones I mentioned in the post) publish the type of license the images are published under – that should give you an idea if you can alter them or not. I love finding just the right image for my post or header. I use Google Images, morgue file, pixabay, iconfinder but, I didn’t realize that Bing is now letting us use images. YAAY!! I also, didn’t know about a couple of the others you mention. You are so right, Geri – an image can make or break a post. I’m exhausted. Well done Ana. Yes I read it all. Come on MGM, get a grip. Way too many lawyers. Really, do they have anything better to do than make noise on a SS presentation that was very well done. Please. With Pinterest and Google it’s open season, with every individual it’s Harvard Law. Typical. Attribution. Absolutely. Whenever I pull something 500px, they get the embedded attribution and the photographer gets link to his/her site of FB page. This will likely be a losing battle for “photographers” as the web continues to grow and the popularity of images. Articles and images are shared all over the place by major sites, let alone individual blogs. If you link back to my post, more power to you and 99% time, thank you. Photographers and Artists would be better off to have the same mindset. So glad Trey Ratcliff gets it, he’s only the biggest photographer online. Kudos. You are very right: fighting against image republishing is an uphill battle, so wouldn’t it be smarter to pick your battles well? I have been using Photopin for some time, and whilst it proves to be a great source, sometimes limiting for my needs. I hadn’t come across the others you have mentioned above, despite frequently Googling to try to find more. So this list you provided has opened up a whole new world of pictures! I do try to use my own pics, but as many of mine feature my family (and I choose not to have them on my blog), sometimes, it can be tricky to get the imagery needed! Using an image with a copyright license can land one into problem. I have heard cases of bloggers sued for infringing on such rights and ended up spending so much. I usually create most of the images i use or search for images without copyright on Google to use. I will also check out the other sites you listed here for free images i could use for my blog. Thanks for sharing. I found this article on Kingged.com and also left a comment there. It’s definitely much more serious than many bloggers choose to believe. That’s wonderful that Slideshare worked with you to restore your URL with all the views and embeds intact. I can’t believe that Metro-Goldwyn-Mayer Studios were so on top of this. Thanks for the resources. There are a few here that I wasn’t aware of. I know, huh? I understand using copyrighted images, but that wasn’t their complaint… oh well. Good to see you at Traffic Generation Café, Sherryl! Another master piece from you Ana! I usually use Google images for finding images that i use in my blog post and it seems the easiest method to me, I get to choose from a variety of images and also from different styles and formats like Clip arts, icon, logo and so on. Just be careful with license rights, Joseph; you never know what you find on Google. And welcome back! How to know copyrights of photos where to see it on the photo? We search for photos at google and find many but where to see copyrights ? As I mentioned in the post, looking for images on Google is not the best idea. This is great lesson for bloggers. We know we can’t do without images so there is need to be cautious. There is a lot of information on the Internet but you explained this topic particularly well. I like to buy images though because if you link to someone’s image you can’t be sure the link will be valid in the future. That’s a good point, even though broken links are fairly easy to fix. Spot on post as usual, truly like your combo of information density with a juicy writing style! Now I do have a question about the Flickr creative commons. How does it work with all this license stuff? I see you use pictures with “Attribution-NonCommercial-NoDerivs License” (oh these lovely names they picked, great!). To me we are moving to the grey zone now…. Would you be able to defend that your slideshares are “non-commercial”? I mean, off course they are giving people free information about how to get traffic. But they are also driving people to your website, which in turn is meant to generate business. What do you think? This “Attribution-NonCommercial-NoDerivs License” is certainly the biggest pool to fish in (with 75 million images) and you do have a knack of finding the funniest en most appealing ones! There are no guarantees no matter what image license you use, Ayla. The image creator might change the license in the future. Or someone might’ve posted a picture under Creative Commons that wasn’t theirs to post to begin with. You just never know. Thus, the best you can do is do your due diligence and follow “the rules” as you understand them. If you ever have to take down an image due to a complaint, then you’ll cross that bridge when you get to it. Looks like a great free tool, Rena; thanks for the suggestion. Thank you for this comprehensive post Ana. I’ve been content using Flickr for my blog images — it’s nice to know that I have more options. Fantastic post on free blog images, Ana. You have thrown in some very helpful resources, and also put forth some interesting points on how we should approach finding free images for our blogs or websites. There are plenty of sites that offer free images as well as other content, and as you have already alluded to in your post, the first rule of thumb is to check the licensing of the image(Or other content). Reading through some of the definitions of the different licenses is also very helpful. Doing so can make the whole process of finding 100% free and legal images and other content, a much simpler and stress free experience. And good to see you back in my neck of the woods! I know you shouldn’t take other peoples’ images without their permission (which is why I have a Photodune account with mega amounts of credit loaded in to it). However, I’m interested to know out of all the people posting here on this blog, how many have ever got caught out using a copyrighted image? As I mentioned in the post, I’ve had a brush with copyrighting issues. When you upload your images to an image-sharing site like Flickr, you set the license for those images. Otherwise, watermark is always a good idea. I don’t keep Smush.it active; I only activate it every once so often to run my recently added images through it. Doesn’t take long to do and it doesn’t interfere with the blog. Hello Ana, I must say this article is so nicely written that I really enjoyed reading it all till the end. I have sometimes used images from google but didnt know that filter to get images that are free to get and modify too, i actually never used the advanced filter but now I think i should be using it. Thanks for sharing so many valuable resources of getting images ! You are very welcome, Riz. Why i dont use the advanced search is because it reduces the amount of images that shows up and it brings up images i dont like! Hi Ana, another high quality post. Morguefile and Pixabay generally cover my needs. Sometimes Vecteezy has some useful stuff and occasionally the paid for sites offer a free image of the month which is often worth grabbing. On the subject of image optimisation, there are three things you can do. Firstly save at the right size for the space the image will be shown. Secondly, compress jpgs as much as you can without losing too much quality (Pixlr has a slider control for this). Thirdly, Smush-it, as you mentioned. By doing all that you should be able to reduce the filesize of a copied image by 60 to 80%. I just wrote a post on this if you need more detail. Keep up the great work Ana, yours is one of the few blogs I keep coming back to again and again. I usually use Snagit for my images, and whenever I resize images before uploading them to Traffic Generation Café, they get too blurry. Did you find it to be the case with other resizing tools, Andrew? Thanks for the additional info and congrats on your Problogger post! I haven’t used Snagit, but I know what you mean about the blurs. They are, apparently called compression artefacts and are a result of taking out too much information and what’s lefet, kind of smudging together. With Pixlr you can control exactly how much or how little compression you are applying and see the resulting file-size on the readout. I will download a copy of Snagit and have a look at the settings and get back to you if I can offer any advice. Adding an extra step of “finalizing” the images we add to our blog posts could be a bit too much for most bloggers. I know I might not always find the time to do it. I was going to mention Morguefile and Pixabay actually, but you beat me to it. They are both pretty good and have some nice images. Another option, is to use pictures you use yourself and then you should be a lot safer. That does require you to take photos though, and that’s not for everyone. That is a great post on images. I know people who have gotten in trouble recently for their free images. I usually try to purchase most of my images. But sometimes I am not sure that is much better as we are not truly purchasing total rights to the image I do not believe. You have a couple of free image sources that I have not used and I will look into them. I also was unaware that we could search images on Google and Bing by the license of the image. That is great to know. I’ve never really used paid images in the past for that very reason: you have the permission to use the image (just like Creative Commons images), but that’s it. Permissions change all the time, sites come and go, so you never know. Very kind of you, Emebu! What an awesome resource Ana. I usually use Flickr or Google Images to find the images I use (or I take my own pictures). I am using the right license as well. But, I’ve been thinking about finding a different way to find images, a way that’s faster. In my opinion, looking for the right image with the right license is always a pain in the neck, no matter how many resources you’ve got, Jens; let me know if you ever find a way to speed it up. On the question of copyright, I have about maybe two and a half thousand of my own images up on the net. A while ago I did a ‘similar image’ search for one of my images and found eight pages of URLs that had used the image – some with attribution and some without. If someone copies one of my images and does not give attribution, then of course, I don’t like it. If I do get attribution, then I weigh up the benefit of the backlink – and maybe let it go. Life it too short to chase up all the images. On the question of image use and copyright, why isn’t Pinterest in court? For that matter, why isn’t Google Image Search in court for copyright breach? Isn’t it because they are not uploading images but referencing the images from their URLs? In WordPress, there is even an ‘upload from URL’ feature. Do you remember the storm over whether Pinterest was breaking copyright by publishing some unauthorised images? That came to nothing – and I assume is was because Pinterest references the images from the URLs. There was also a question about whether Pinterest was uploading thumbnails. It was said to be doing that so that if the referenced image URL changed or the original image was removed, Pinterest at least had the thumbnail to show, rather than a lot of empty frames with a blue question mark or ‘this image or video is currently unavailable’. As far as I know, that allegation about thumbnails being uploaded by Pinterest didn’t go anywhere and Pinterest is not in court. I recognise that the problem with referencing an image rather that uploading it is that the original image might not always be around and that could mean a broken link. And if an image is referenced then there is a link out to the URL – with the ‘bad neighbourhood’ risk that goes with that. By the way, do you think Google must have their own broken-link checker on overdrive, checking that the images they are referencing are still there? You take great pictures, David; I am not surprised you see them all over. And you’ve brought up a lot of very good points – about Pinterest and about linking out to give attribution for images; I haven’t even thought about it. I’ve seen Google linking out to plenty of 404 pages, including images; not sure what their quality control rules are in regards to that. Bottom line: it’s best to make/take your own images. And that makes blogging even more complicated. I heard recently of a marketer who is being chased by Getty Images for royalties owed for an image that he bought from another marketer and used somewhere. He assumed (wrongly in this case) that the images were copyright free. You cannot be too careful when it comes to images. Before I knew any better I used to just copy images from the internet for various uses. Shocking I know. I have rarely found free images to be as good as the ones you pay for although I have used some from Flickr creative commons. I will give the sites you mention a try. I’ll certainly get the Smush it plugin as that is one of things I have been meaning to look into. Very timely, so thanks for that. I’ve heard a lot of Getty image nightmare stories; I suppose they are trying to make an example of a few to deter the rest. You are very welcome, Stacy, and thanks for mentioning Bing rewards; I totally forgot about that. For my readers: you can sign up for Bing rewards here – http://www.bing.com/rewards/. Adding images to blog posts is very good just that i don’t it because i feel it delays the loading process of a blog, i want my blog to load faster. I understand that concern, Emebu, but there has to be a balance between loading quickly and catching your readers’ eyes at the same time. I would like to know: once we go from Creative Commons site ot Google Images site to Flickr, are these images totally free like “All-free-download.com”? Or in former case, we still need to link-back? Rule of thumb: always give attribution. Most of Creative Commons images still require it, and it’s better to be safe than sorry. Found your post on Twitter via @kikolani. Thanks for sharing Ana! I didn’t know that Bing had an image search like that, but I’ll be sure to check it out. BTW, I have used http://www.morguefile.com for years and found them to be a reliable resource. Thanks for coming by, Jeremy, and thanks to Kristi for the thumbs up on Twitter. It sounds like MorgueFile is a good one to add to my list; thanks. Thanks for the resource suggestions, Jennifer; I’ll see you around when you are more bright-eyed. Another great post loaded with info and resources Ana. I did want to mention one thing about searching for Creative Commons images. I can’t remember who it was but a couple of years ago a blogger was being sued by one of the bigger image sites for using one of their member’s (photographer) photos without buying the rights to it. He found the image on Flickr that allowed the photo’s use with attribution, which he did. It turned out that it was never the person’s photo that put in on Flickr in the first place. They purchased a single use license and then uploaded it to Flickr. I guess my point is that it’s important to make sure we’re getting permission from the true owner, which I imagine can be pretty tough. You are so right, Brian; I can’t believe I forgot to mention that in the post. I think I’ll add it; thanks for bringing it to my attention. Have to say, that slide with James Bond was nothing short of amazing. I’m curious, how they found it though? Where did you find the “trick” with Bing images? :) I didn’t think a lot of people know that. I’ve heard that from Finch from Premium Posts. I think all pictures in MS Office (Clip Art) are royalty free, but I’m not totally sure about that. That Slideshare presentation happened to be featured on Slideshare home page for a while; might’ve caught someone’s eye there. I read a lot of marketing news; that’s how I learned about Bing images just last week. And I think you are right, those picture are free to use; too bad, there’s nothing great there, plus if everyone uses the same images… well, you know. How do you get featured? By paying some fee? I just recently started to use 5 document sharing sites. I had no idea you could get that much traffic from these. Here’s more on how to do it: https://trafficgenerationcafe.com/slideshare-traffic/. By the way, I am from Russia. I am actually on the plance from San Francisco to Moscow right now. No way you are Russian! I’m Russian too (though I live in Latvia). Your name should be Anna then, pretty sure 🙂 I suppose you married American? (judging by your last name). And thank you for the link! You gave me some ideas I want to act on..
My full name is Oksana – Ana for short. And yes, my husband is American. Nice to meet you, Aleksey! Zohmygosh Ana! You’re absolutely freaking amazing! I was just on here a couple days ago looking for this exact information! You always have such neat images, and I need lots of new images to use for all sorts of books, posts, and other media – but I don’t have room in my budget for them. MUCH appreciated, Lindsey; always a blessing to be at the right place at the right time. I remember the JB episode… such a shame. I’d like to share an additional experience… I’ve a client who accepted a guest post from a famous author. She sent over a photo of herself and a copy of the book cover. It turns out the author didn’t have permission from the photographer to use the image (even though the image was of her, he still owned the rights to it). Image ownership is tricky at its easiest. And a court case at its worst. Wow – it’s definitely one of those cases, Sarah; can’t believe we might not be free to use an image of ourselves, whoever took the pic.